If you’ve been reading our blog, then you’re no longer a stranger to Paris – from the top Parisian attractions to the city’s best neighbourhoods, there is something for everybody. Churches, museums, food, drink, parks, walks, music, dance. It’s not one of Europe’s most visited cities for nothing. But what if you’ve had enough of it? It can happen. Especially given Paris’s urban sprawl – the city does go on for miles and miles – you might be ready for a taste of the countryside, or at least some fresh air and something a little different. Here are a few places where you can do exactly that. Only a half an hour away on the trail whisks you away to one of France’s most beautiful buildings. 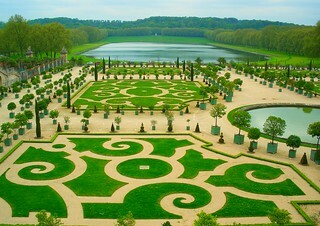 The Palace of Versailles is a hot tourist spot, and one look at the palace or gardens explains way. Despite their size, you will not find a single hedge out of place or a fingerprint on any of the hundreds of mirrors and antiquities inside. A tour of both is a must; it can be a little crowded in the palace, particularly in the hall of mirrors (which is just as stunning as it sounds), but once you’re out in the gardens, you can roam freely. Don’t forget to explore around town too – many tourists don’t venture beyond the few blocks between the railway and the palace. If you have any budding artists with you, then this is a must-see. Giverny is where famed painter Claude Monet spent many of his years, and you can sit here in the same gardens that he did and ponder the splay of light across the water lilies just like he did. It can get a little crowded here as it does in Versailles, but you can wander about town as well, it is just as quaint and charming as the gardens itself. It is easy to see why Monet chose such an inspirational backdrop, and one with such easy access to Paris – just a 45 minute rail+bus trip each way. Didn’t get enough cathedrals and medieval architecture in Paris? Then hop on the train to Chartres, where you’ll find more cathedrals than anywhere else in France (or at least it feels that way). The city sustained heavy damages during the bombings of World War II, but thankfully many of the more iconic buildings from centuries past are still here. My particular favourite is the interior of the Church of Saint Aigan – the 17th century furnishings and décor are just splendid. Stop for a coffee and a croissant, look up, and enjoy what’s around you – a perfect little French village. The least “French” of any of your daytrip options, but I offer it up if you definitely are in need of a change of scenery. I think this is the only Disney resort to have its own high speed rail line that will carry you right to the doorstep of Mickey’s enchanted castle, which is now the most visited attraction in France. It does work as a daytrip but it can be a bit hectic, especially if you haven’t been to a Disney resort before. One tip is to understand and make use of the Fastpass, which is essentially a way for you to get a ticket to ride a ride at a certain time, eliminating the need for you to wait in a queue, so you can go off and eat, drink and be merry instead. 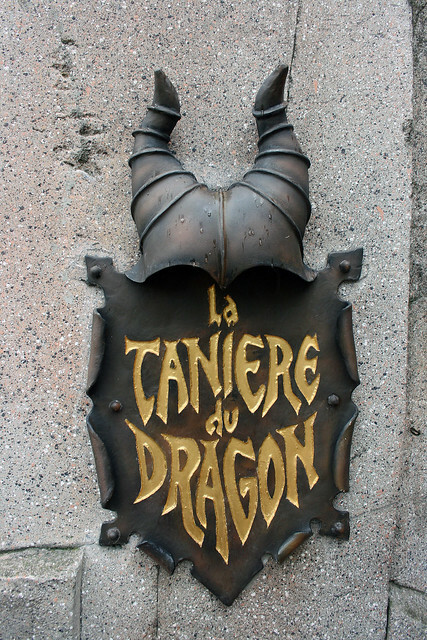 Don’t miss the best attraction of all: the Dragon’s Cave – one of the best animatronic experiences ever.